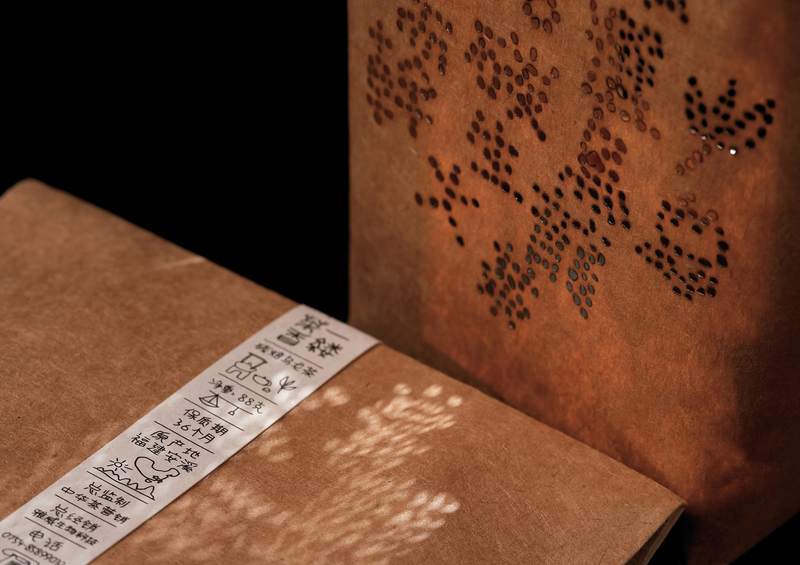 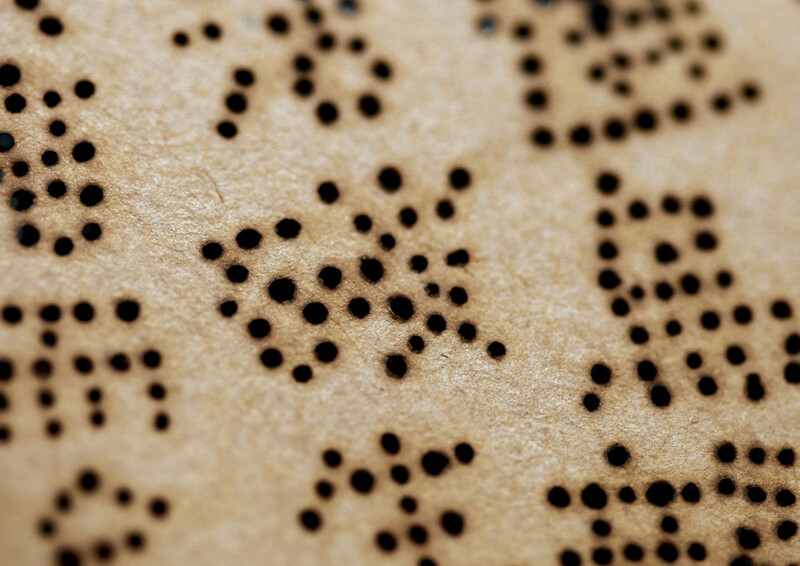 Burned holes in kraft paper: This is what designer Lin Shaobin thought up to enable ventilation for the tea inside the packaging and to represent the tea’s drying process at the same time. 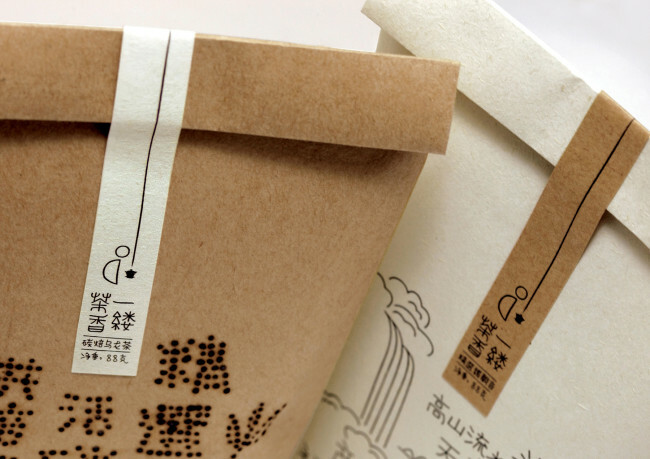 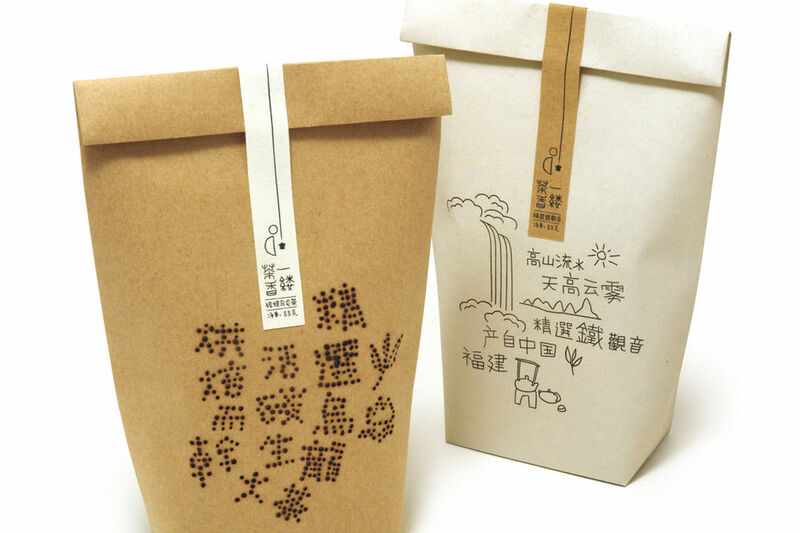 This packaging was made for “A Wisp of Tea” of Chinese Yawei Cooperation and Lin Shaobin won the 2011 Hiiibrand Awards (Bronze) with it. 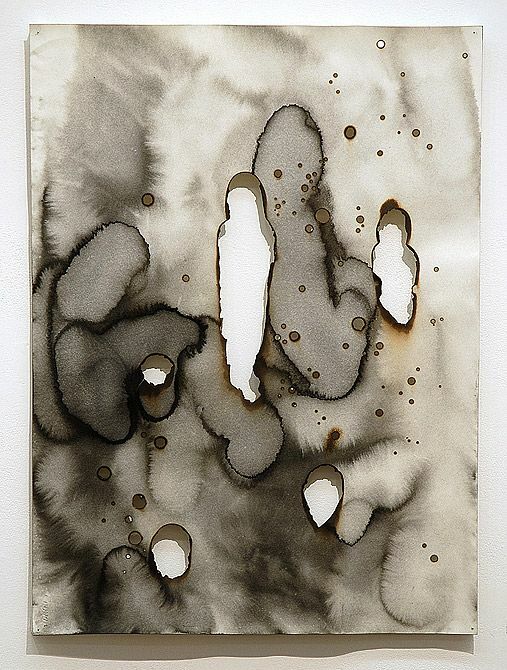 I was pretty convinced that there is other packaging with burned holes as a design device but did only stumble over artworks by Lindy Lee and Park Jihyun so far (the latter uses incense sticks to burn the wholes in rice paper).